Lost Tree Village is renowned as an area of quiet sophistication. Much of its allure is in its limited population and exclusivity. 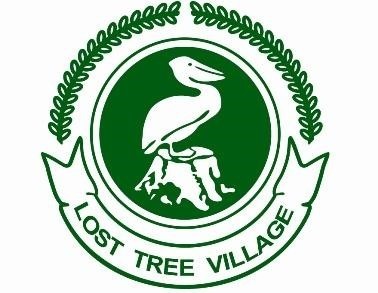 The residents of Lost Tree Village are interesting people of accomplishment in various professions throughout the U.S., Canada, and Europe. They enjoy quiet living and have a sense of community spirit. It is this combination of privacy and community that makes Lost Tree Village unique. When the Juno Beach area was first surveyed in the early 1800’s a gumbo-limbo tree was used as a marker. Years later when the land was again surveyed for the Celestial Railroad the tree had disappeared. A second tree was chosen as a marker but it also had disappeared by the survey of 1913. Engineers then drove a marking stake in the ground. This too was gone when the 1948 survey was made. Intrigued by the capricious disappearances of the trees and stake, Llwyd Ecclestone Sr. felt that “Lost Tree” would be a fitting name for the community.